The HeatBlocker skylight shade is a see-thru cover for your skylight that easily slips over the skylight to decrease the sun’s heat transfer into your home or business while providing light and visibility through the skylight. Reduce air conditioning bills during summer – blocks heat up to 90% while letting light through. Reduce furniture and carpet fading. Reduce wind chill factor and frost build up during winter. Use for clear, bronze, or frosted skylights. Construction: The primary component of the HeatBlocker skylight cover is a durable, flame retardant, vinyl-coated polyester mesh fabric which is mildew and fade resistant. A premium quality, marine grade elastic shock cord is sewn into the solar screen which allows an easy “slip-on” installation over your skylight. HeatBlocker skylight blocker shades are ideal for most types of skylights. For those skylights that vent or open care should be taken because of the possibly that venting skylights might not properly close. 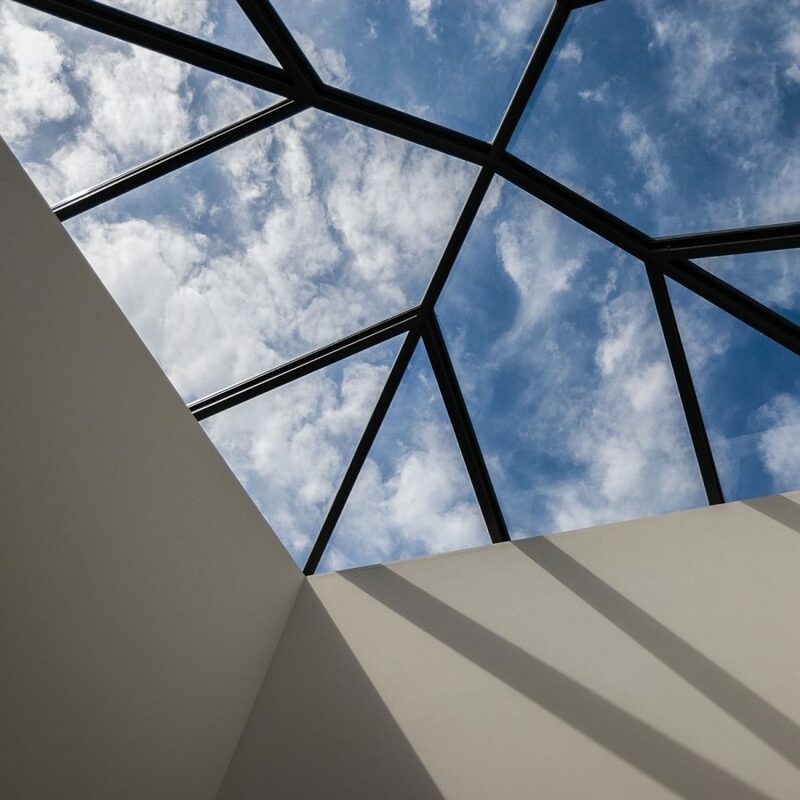 When using off-the-shelf “standard size” skylight screens, the skylight cover can vary from a loose to snug fit depending on the skylight make. All custom skylight screens should have a snug fit. Size: Standard sizes are available for 2’x2′, 2’x3′, 2’x4′, 3’x3′ & 4’x4′ skylights. Selected sizes will fit most dome skylights of that size. Custom size skylight covers are also available. Colors: HeatBlocker skylight shades are available in either dark brown or light gray. Colors shown are representative and might not exactly match the sample colors displayed. Both colors work about the same in blocking heat & glare, and choices should be made to best match the roof color. Blocking Percentage: HeatBlocker skylight shades are available in either 80% or 90% blocking material. Greater heat and glare protection is achieved with 90% and outward visibility is slightly reduced. More about 80% vs 90% can be found here. Installation: HeatBlocker skylight shades are easily installed by slipping over the skylight and securing the elastic cord under the overhanging skylight frame. No drawing or tying of the skylight screen’s elastic cord is necessary. During the winter months, HeatBlocker skylight covers can be easily removed for access to solar heat and home winter comfort. Warranty: HeatBlocker skylight shades come with a one-year warranty covering defects in materials and workmanship. Read about the differences between HeatBlocker Screens vs. Indoor Skylight Blinds. Contact Interior Guards today for a free estimate.